BCBGeneration is a brand for those with vision and confidence. We offer romantic and refined wardrobe options for style rebels that take their inspiration from a variety of sources and distill it into adventurous and unexpected looks. This sleeveless midi dress in "American Red" ribbed knit features a strappy neckline, draped hip pockets, and a high-low hemline. We love the tailored fit of this cold shoulder romper in fierce "Jester Red." The illusion neckline and keyhole back add glam elements. Bring your own brand of flirty style to casual or evening outfits with the black, strappy "Ilsie Sandal" accented with a clear vamp and block heel. The classic trench gets an upgrade to a whimsical gingham print, shorter hemline, and glossy D-ring sleeve ties. 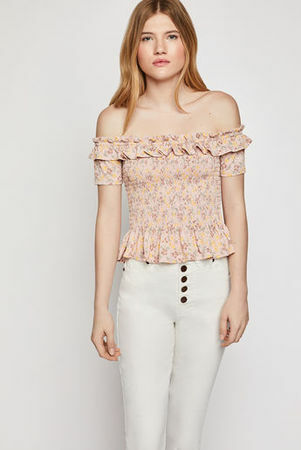 There's a sweet vintage vibe to this short sleeve, off-the-shoulder top in floral jersey. The ruffled neckband, smocked bodice, and peplum hem make it a great mix-and-match piece. Dressed up or down, this soft, high-rise pant constructed with a wide waistband keeps you looking all-day fierce. A casual flat sandal in sleek faux leather, the "Zola" takes it to the next level with an asymmetrical strap trimmed with a silver-toned chain accent. Wear your heart where everyone can see it. 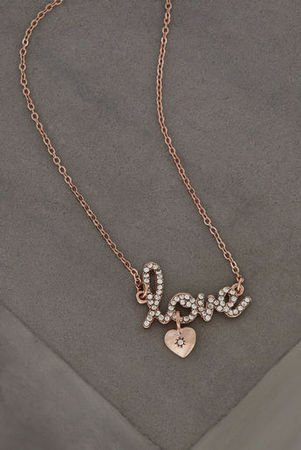 This rose gold-tone delicate chain necklace is accented with the best message ever in glittering pave-effect stones. 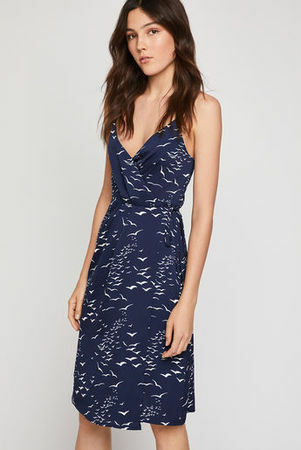 This sleeveless dress in our "Flock of Seagulls" print on satin features classy ruching and a strappy neckline. 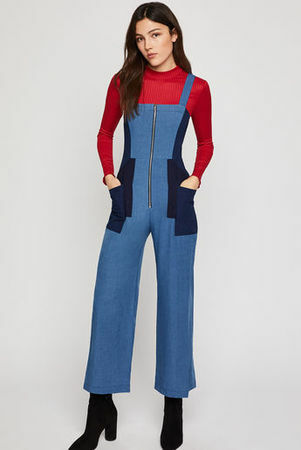 We're crushing hard on this colorblocked jumpsuit in denim shirting with a cool zip-front design. Quilted pleather adds texture and dimension to this block heel mule that features a squared sole. The open-toe design looks as cool at the resort as it does in and around town. 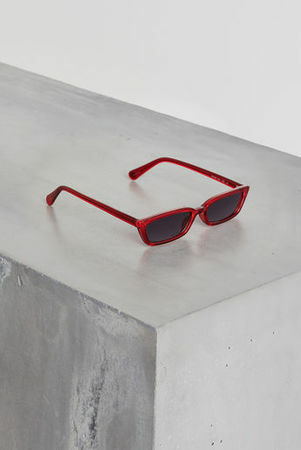 These sleek, rectangular frames deliver instant Gen Girl cool whether you’re running around town on sunny days or chilling poolside.